This book is a master piece by Dr. Norman Vincent Peale. It has been translated into numerous languages with millions of copies sold. 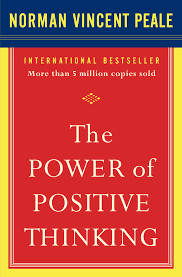 It is based on a simple and effective concept: Positive thinking creates positive life. Each chapter of book tackles important life issues. Honestly, what is written in this book is beyond words.